One day after completing a successful 24-hour trial of IPv6, Facebook, Google and Yahoo said at a joint press conference that they would begin permanently supporting this upgrade to the Internet's main communications protocol on some of their key websites. 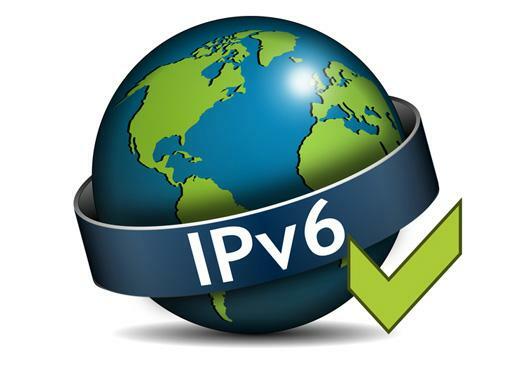 Joined by two content delivery networks -- Akamai and Limelight, which also pledged their commitment to IPv6 deployment -- these popular websites proclaimed the World IPv6 Day trial to be a resounding success. All three companies said they had handled a significant increase in IPv6 traffic on June 8 without suffering serious technical glitches. IPv6 features an expanded addressing scheme, so it can handle vastly more devices connected directly to the Internet than its predecessor called IPv4. However, IPv6 is not backward compatible with IPv4, which means website operators have to upgrade their network equipment and software to support IPv6 traffic. Google said it has decided to leave its main YouTube website enabled for IPv6 for the time being. Since 2008, Google has supported IPv6 on separate websites -- such as www.ipv6.google.com -- rather than on its main websites. "We saw 65% growth in our IPv6 traffic on World IPv6 Day," said Lorenzo Colitti, IPv6 Software Engineer at Google, who pointed out that Google added IPv6 support to several new services including Orkut for the trial. "This event has really been successful in galvanizing the community." "At Facebook, we saw over 1 million of our users reach us over IPv6," said Don Lee, senior network engineer at Facebook. "There were no technical glitches in this 24-hour period. We were encouraged by the many positive comments on our blog. ... It is really interesting to see how passionate people were about IPv6 around the world." Because of the positive results from World IPv6 Day, Facebook has decided to support IPv6 on its Website for developers, which is www.developers.facebook.com. "We will continue to adapt our entire code base to support IPv6," Lee added. "IPv6 will allow the Internet to continue its amazing development." World IPv6 Day was held yesterday and was sponsored by the Internet Society. The event attracted 400-plus corporate, government and university participants that deployed IPv6 on more than 1,000 websites for the day. Leslie Daigle, chief Internet technology officer for the Internet Society, said World IPv6 Day was designed to motivate service providers, website operators, hardware makers and software suppliers to test-drive IPv6 and to identify any remaining technical issues that need to be resolved with this emerging technology. "It was perceived to be quite a successful day," Daigle said. "It was an amazing display of cross-industry participation. ... It's an important step in the Internet's progress. We are running out of IPv4 addresses, and IPv6 is definitely the way to move forward to make sure the Internet is a platform for innovation." Yahoo said it only had to make one minor adjustment to its website for traffic optimization as a result of World IPv6 Day. "Yahoo is very excited about how smoothly World IPv6 Day went for everybody. It's a great testament to the preparation that went into this event," said Jason Fesler, an IPv6 architect at Yahoo. "The early data says there is minimal risk to pushing forward." Akamai and Limelight also said they were stepping up their efforts toward full, commercial-grade support of IPv6 due to the success of World IPv6 Day. "We're going to look at the data for IPv6 usage and use that to improve our services," said Andy Champagne, director of engineering at Akamai, which had 30 customers participate in World IPv6 Day using its beta IPv6 service. "Then we are going to work with our customers to roll out IPv6." Tom Coffeen, director of global network architecture for Limelight, said it had IPv6-enabled every server on its network for World IPv6 Day and that it had encountered only minor issues that involved some routing policy changes. "We were surprised and pleased to see no bugs. The few issues we did encounter were quickly resolved," Coffeen said. "We had many customers choosing to stay IPv6-enabled going forward. We're ready to move to an opt-out model for our customers, where they have to request no IPv6 availability." Despite these successes, World IPv6 Day participants conceded that IPv6 still has a long way to go before it approaches the ubiquity of IPv4. Colitti said Google estimates that only 0.3% of its users have adopted IPv6. He said it was too early to determine how many of its users suffered from broken IPv6 connections; estimates prior to World IPv6 Day put IPv6 brokenness at 0.03% to 0.05% of Internet users. Similarly, Lee said that Facebook estimates that about 0.2% of its users were able to reach the website via IPv6. "Once the world gets to about 1% adoption [of IPv6], then this will be for real," Lee said. "That's the initial mass that you need to have for global adoption." MORE: What if IPv6 simply fails to catch on? Content providers are migrating to IPv6 because the Internet is running out of addresses using IPv4. The free pool of unassigned IPv4 addresses expired in February, and in April the Asia Pacific region ran out of all but a few IPv4 addresses being held in reserve for startups. The American Registry for Internet Numbers (ARIN), which doles out IP addresses to network operators in North America, says it will deplete its supply of IPv4 addresses this fall.